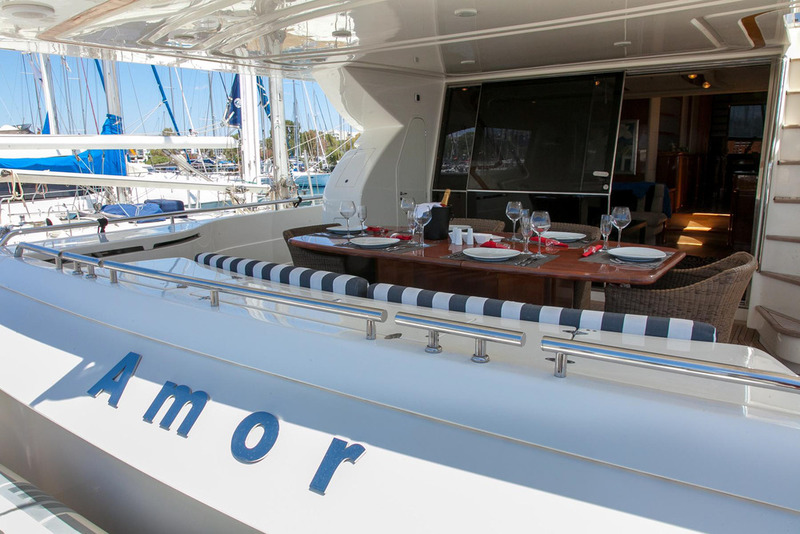 Amor is a 76ft crewed motor yacht charter. 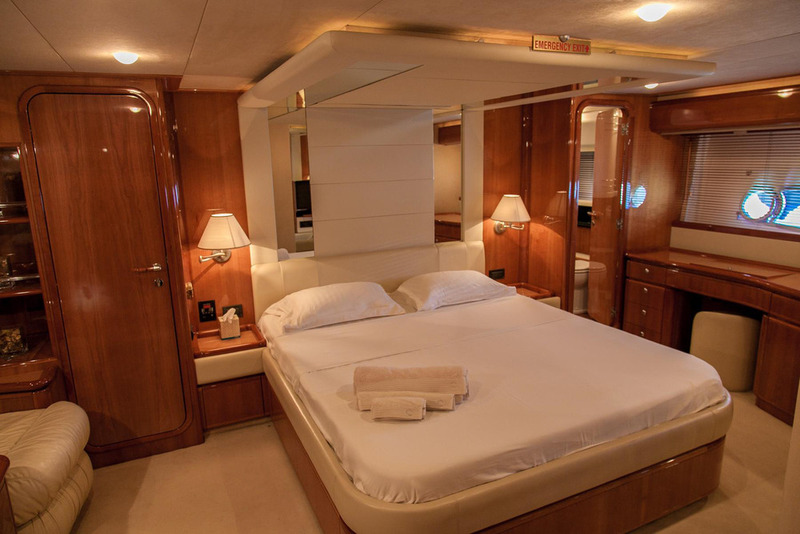 It has been built in 2002 and refurbished in 2008. 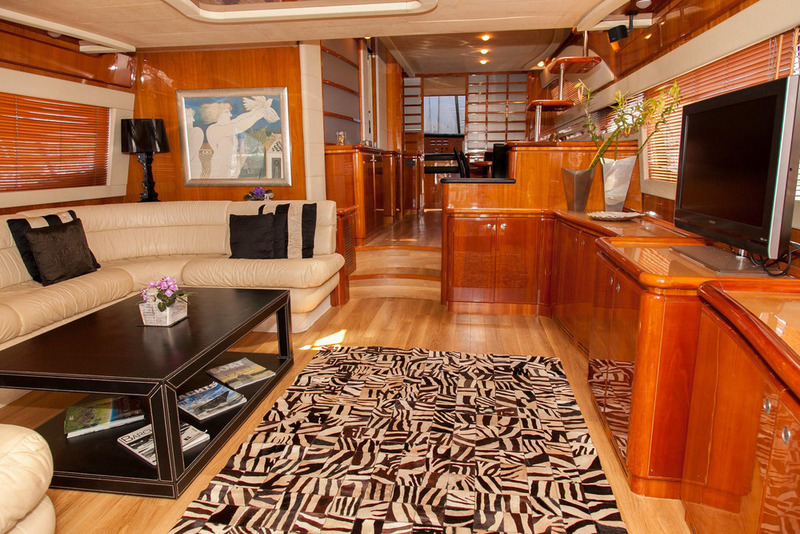 It has all the comfort on board including an entertainment system. 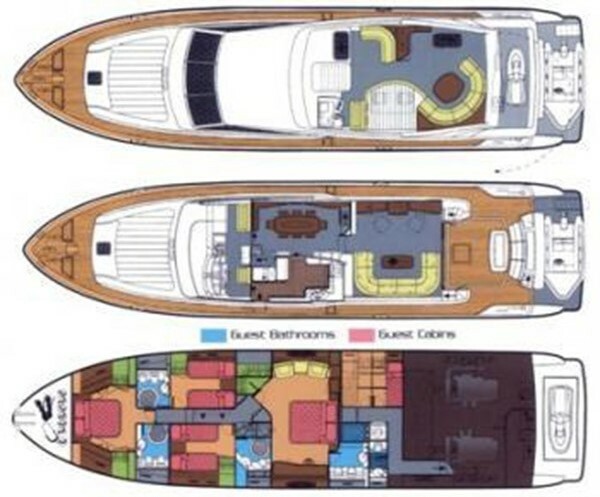 It can easily have 8 guests on board in its 4 spacious cabins. 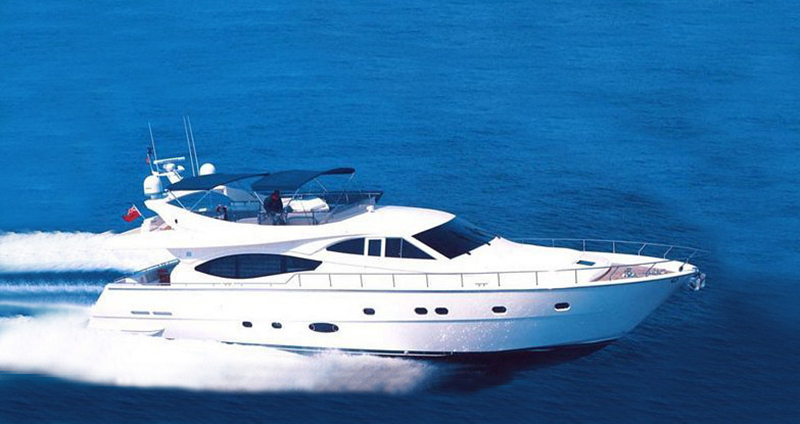 It is based for charter in Athens, Greece and is available at any ports in Greece for a delivery fee. 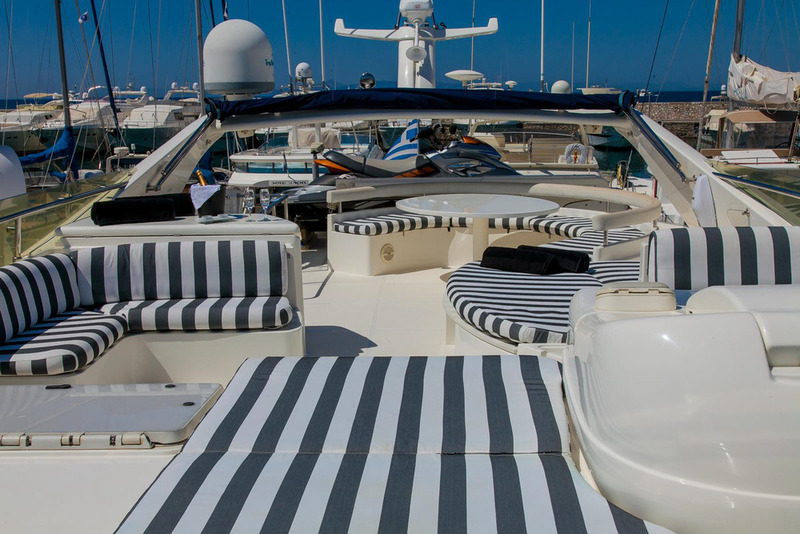 Choose the style of charter you prefer and organize everything according to your preferences and requirements, like events on board or tailor made cruises of different concept. 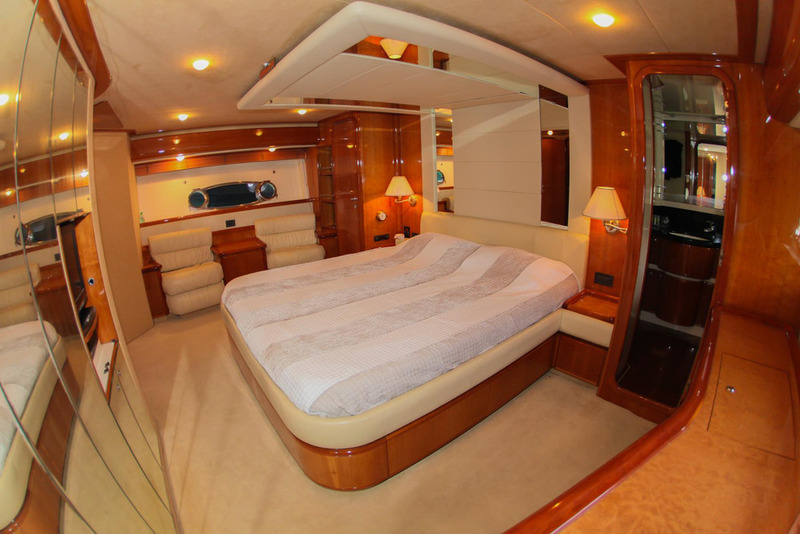 8 Guests (all guest cabins are fitted with CD stereos). 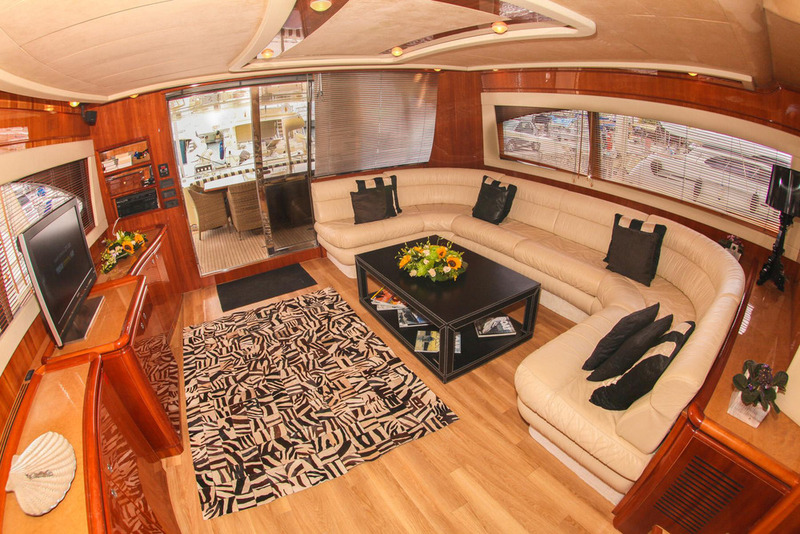 Satellite TV 46'' LED, Video, DVD, i-Pod dock & Stereo Hi-Fi with Bose surround system in the salon Stereo Hi-Fi with Bose surround system in the aft deck TV, DVD, CD player in Master & VIP cabins, Wi-Fi internet.